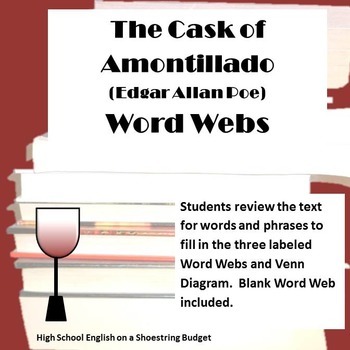 Students analyze the text of The Cask of Amontillado for words and phrases to fill in the word webs. Includes three prelabeled and one blank. 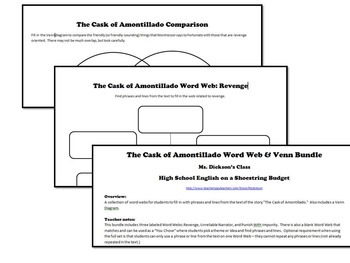 Plus, includes a Venn diagram to compare the friendly-sounding and revenge oriented things Montresor says. File is a single PDF.